With the incredible ongoing success of 60 Quick Baby Blankets, it is no surprise to learn that knitters are begging for even more. 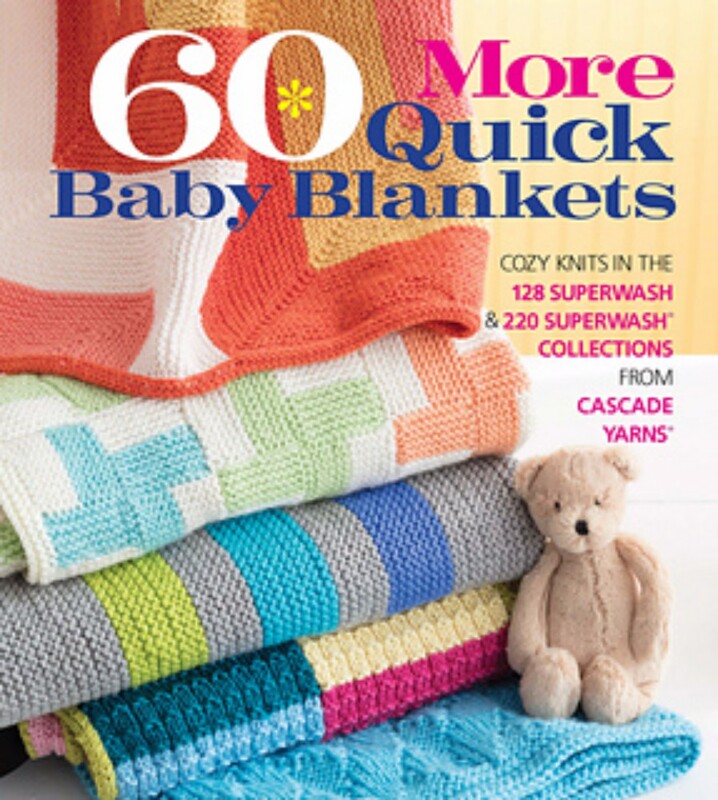 60 More Quick Baby Blankets offers 60 more projects with the trademark quality and unrivaled quantity that fans of the 60 Quick Knits series have come to expect. From simple-yet-impressive knit/purl patterns to cabling to intarsia to double-knitting and more, a range of techniques are employed throughout the collection to engage knitters of all skill levels. Designs with modern stripes and motifs, whimsical animals, and everything in between guarantee that there are numerous patterns that will appeal to every personal taste. Whether knitting up whales in sail boats, a cushy cabled pattern, a cozy mermaid tail or bear wrap, or a chic strawberry gingham, one thing is certain, these blankets will be loved for years and years to come, first as an oft-used blanket and then as a family heirloom.